The Forrest House is one of over 100 houses designed by Ron Thom and built in the Vancouver region during the 50s and 60s. Thom completed Massey College at the University of Toronto in 1963. Two gated entries lead to a courtyard area with a meditative pool. 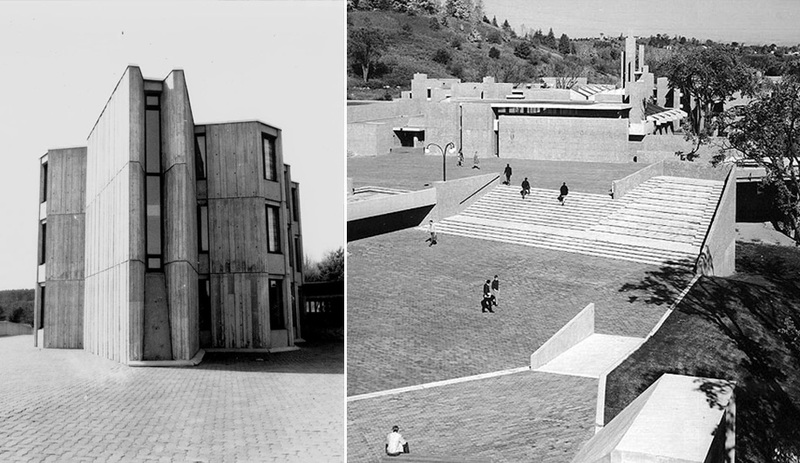 Trent University in Peterborough, Ontario, made the cover of Architectural Record when it was completed in 1969. 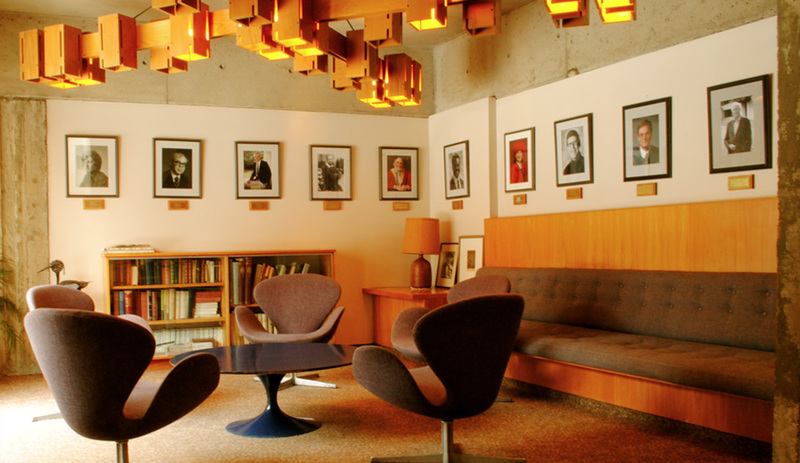 A room at Trent University furnished with Swan chairs by Arne Jacobsen. 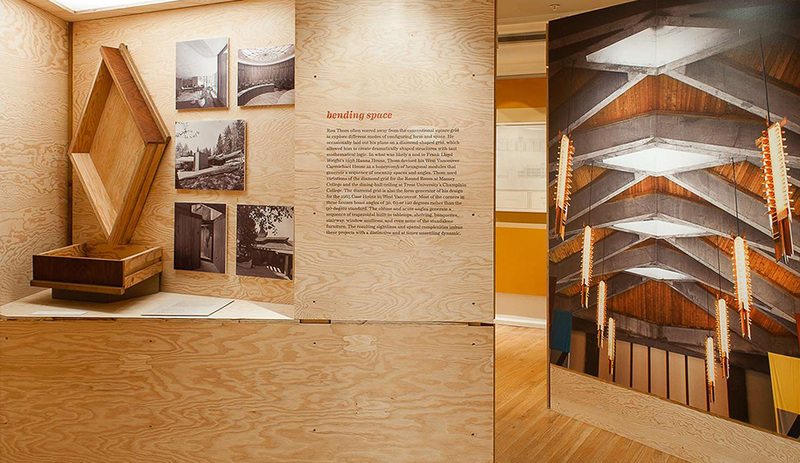 The plywood displays made for the exhibit Ron Thom and the Allied Arts, designed by Public Design of Vancouver, are at irregular angles to reflect the architect's love for hexoganal geometries. An exhibition at Toronto’s Gardiner Museum shines a light on one of Canada’s leading mid-century modern architects, and shows his obsession over every detail, right down to the ceramic ashtrays. Ron Thom and the Allied Arts is the first major exhibition of Thom’s renegade career, which spanned from the 1950s to the 1970s. For many people, though, this may be the first time they have heard his name. 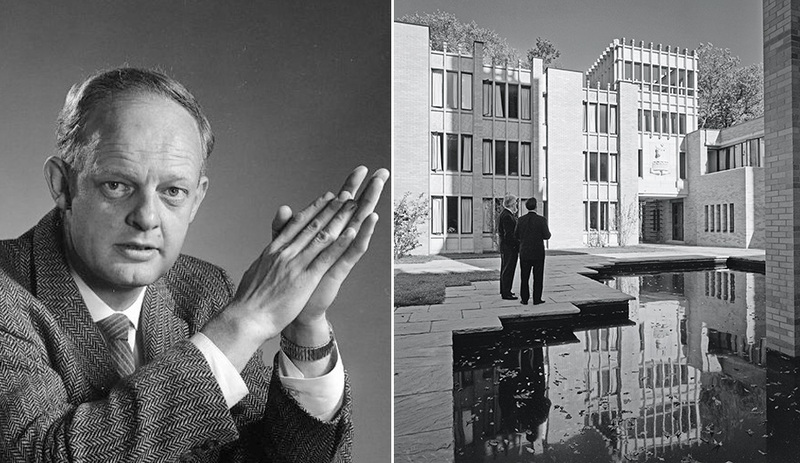 Unlike the better-knowns of his day, including Frank Lloyd Wright and fellow Vancouverite Arthur Erickson, Thom’s name recognition hasn’t held the same timeless currency, and for various reasons: one being that he remained in Canada, building over 100 houses in the Vancouver region and several dozen buildings across the country. His career also suffered from his alcoholism and illness before his death at the age of 63. Thom’s portfolio may have been relatively smaller in scale, but what he did build are now cultural landmarks, including the Metropolitan Toronto Zoo and Massey College at the University of Toronto. One of his most masterful projects is Trent University, a liberal arts campus located in the small southern Ontario city of Peterborough. The meandering structure, which nests itself among trees and at a bend along the Trent River, made the cover of Architectural Record when it was completed in 1969. From the start, Thom gave equal reverence to form, materials and detailing, right down to the door handles and ashtrays. He considered his architecture a continuum between the structure, its surroundings and everything that goes inside its walls. At Massey College, he even commissioned the cutlery that would sit atop the hefty oak communal tables he had custom-built for the college’s great dining hall. The Gardiner Museum exhibition, on until April 27 and curated by architecture critic and Azure contributing editor Adele Weder, highlights his career through a trove of memorabilia, custom furniture pieces, opinion-infused personal letters, and earthenware, which he commissioned himself. What emerges from seeing pottery displays next to sketches of friends next to a cherished LP of Glenn Gould’s Bach Variation is how seamlessly Thom saw the arts merging as one indivisible source of inspiration. The show reveals as much about Thom as a person as it does his work. 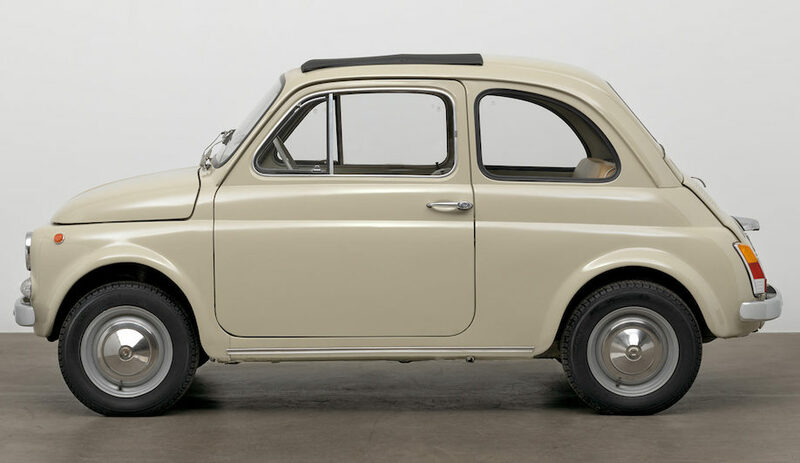 Here are five things you might not know about one of mid-century modernism’s greatest heroes. 1. 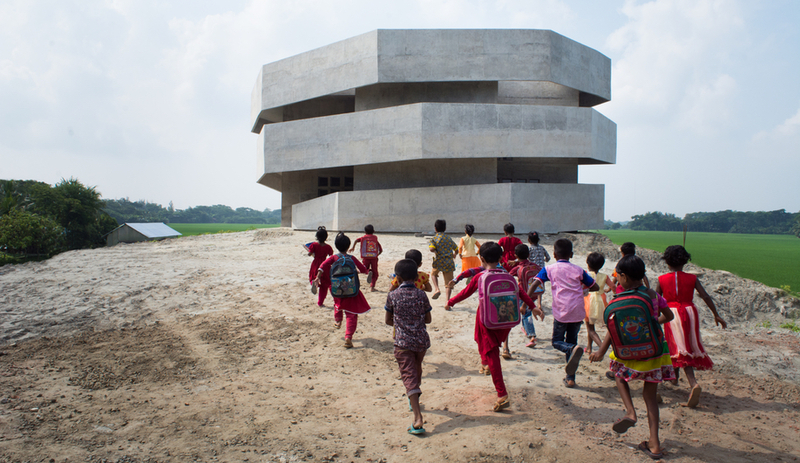 Like Tadao Ando, Thom was not schooled in architecture. He gained acclaim initially as a painter before taking a job as an apprentice architect for the firm Thompson, Berwick and Pratt. 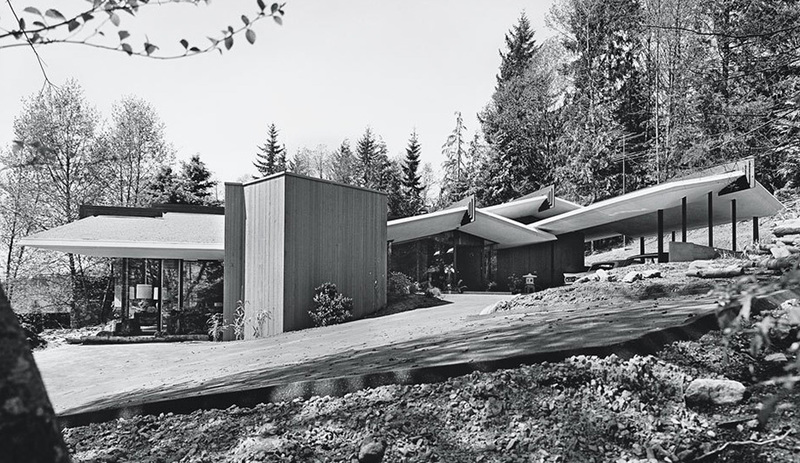 The Copp House in Vancouver was his first signed project, built when he was 27 years old. 2. Rather than right angles, he often preferred angles at 30, 60 and 120 degrees. The hexagonal geometry shows up along roof lines and in floor plans, but it was also commonly used as a motif, carved into wooden front doors, or as a structural shape for a bench. 3. 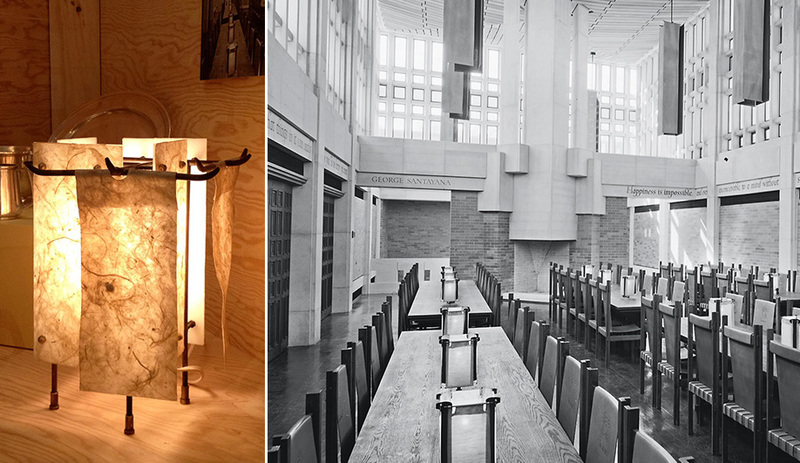 One defining element of Massey College is the dramatic lanterns that hang in the dining hall. A prototype for the lights has been stored over the past decades in his daughter’s garden shed in Vancouver. Now brushed off and on view at the exhibition, it shows how the first designs were crafted out of industrial pipe that was blowtorched as a way to carve intricate holes and patterns in random sections. 4. One of his most memorable acquisitions was a vase he acquired from renowned Japanese potter Shoji Hamada in 1972, who presented it to him as a memento of their meeting. 5. Thom may have been a slave to detail, but that didn’t make him a stuffed shirt. 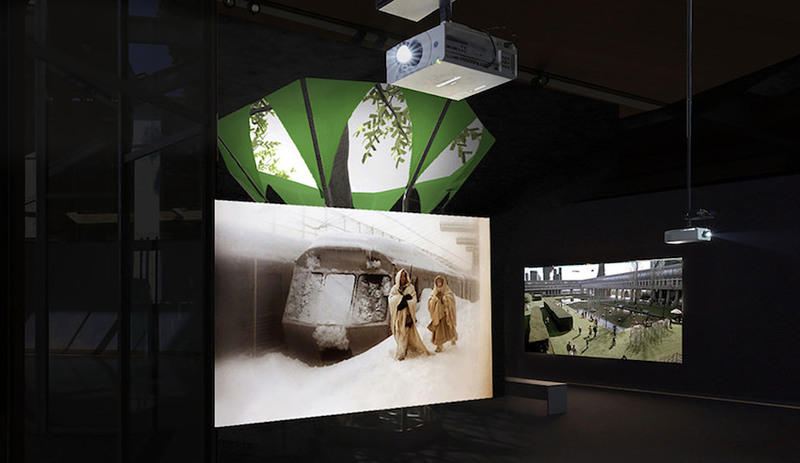 In one of the exhibition’s vintage film reels depicting walk-throughs of some of his residential projects, he is shown heading to his office and bounding up flights of stairs two steps at a time. Later on, his associate Peter Smith is seen throwing darts at the studio’s dartboard. 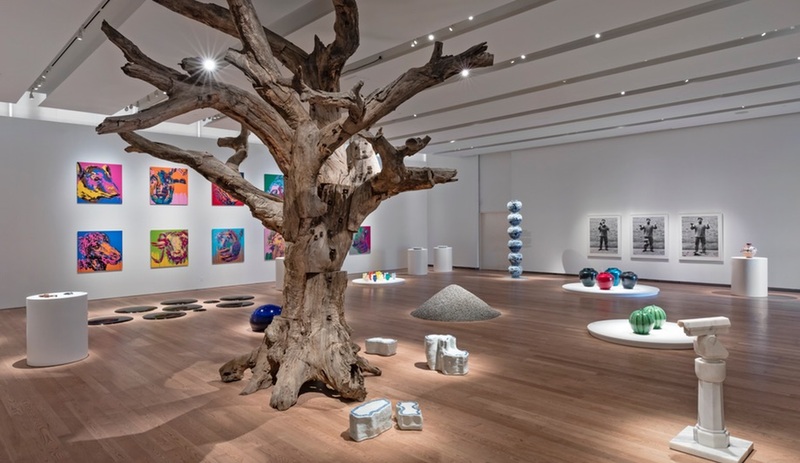 Ron Thom and the Allied Arts is on view at the Gardiner Museum in Toronto until April 27, 2014.